Material: Curly Maple and Bloodwood. 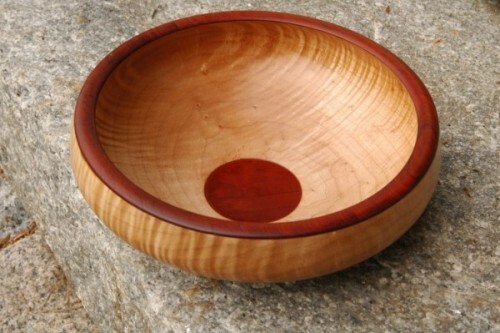 This bowl was the second piece off Tim's lathe. I guess he learns quickly.